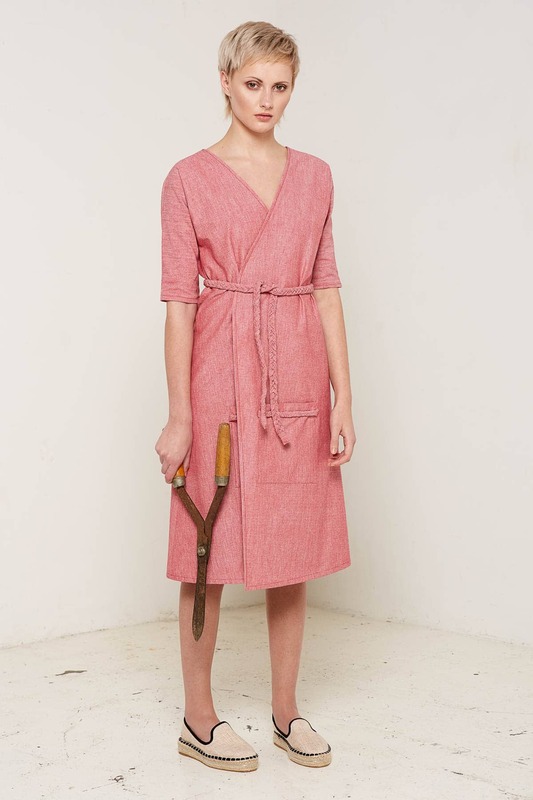 This lightweight wrap dress, made from 100% certified organic crossweave cotton, is perfect for those hot summer days. Designed for a comfortable fit with pockets on both sides. Made in England. Available in red and black colour (black dress is made from 100% certified linen).